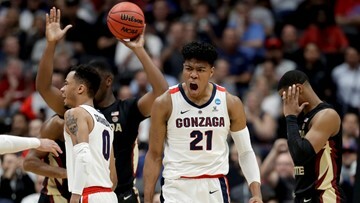 Gonzaga star forward Rui Hachimura has declared for the NBA draft. 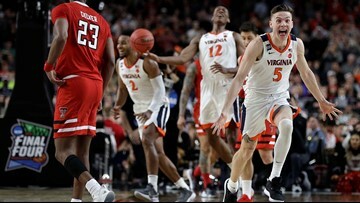 Now that, Virginia, is the way to close out a season. And quiet those critics, too. 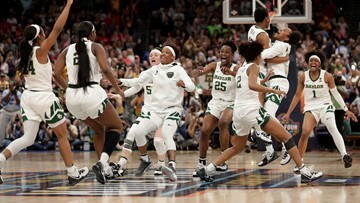 Baylor recovered after blowing a 17-point lead and losing a star player, beating Notre Dame 82-81 for the NCAA women's basketball championship Sunday night when 2018 tournament hero Arike Ogunbowale missed a foul shot in the final seconds. 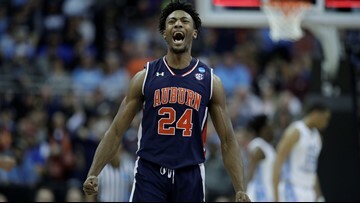 The Virginia Cavaliers beat the Auburn Tigers 63-62 after one of the wildest Final Four finishes you'll ever see. It sounds like Wakanda from the Marvel universe, but spelled a little differently. 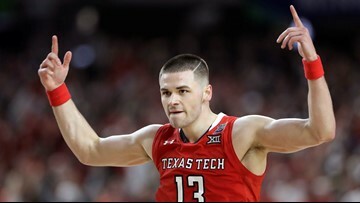 Now, it has a native son moving on in the Final Four. 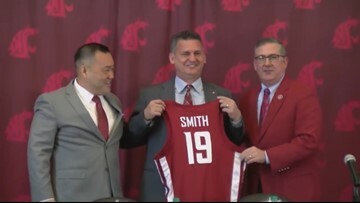 Kyle Smith has gotten right to work as the new head coach at Washington State. He's already held a couple of practices with his Cougars since being hired last week and is working to keep veteran players from leaving. North Carolina is the first No. 1 seed out of this year's tournament. 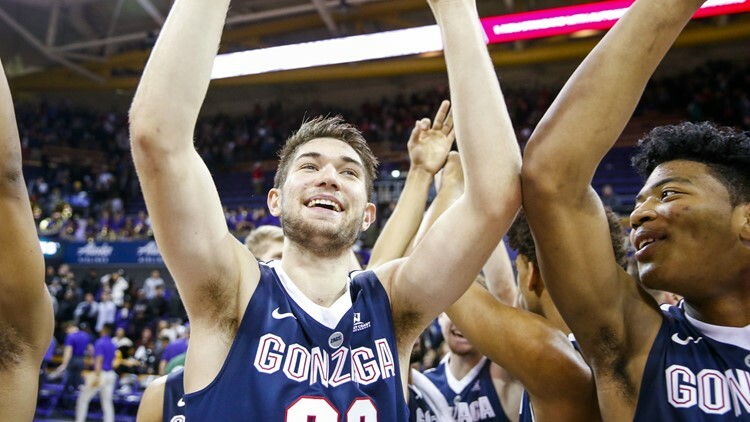 And then there were none...the final perfect NCAA tournament bracket busted with game 50. 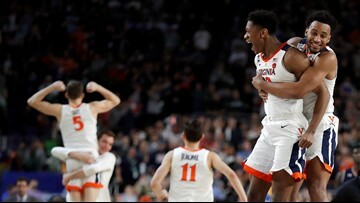 It's the first upset of the Sweet 16. 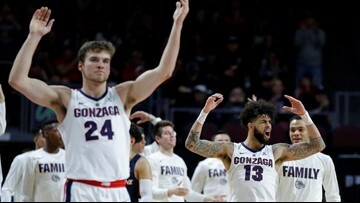 Gonzaga is the first team in the Elite Eight of the 2019 NCAA Tournament. 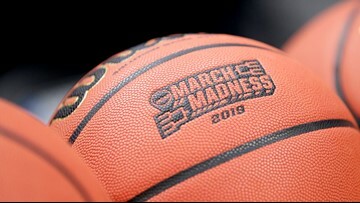 This actor has picked 44 out of 48 March Madness games correctly this year. And how he did it was surprisingly simple. 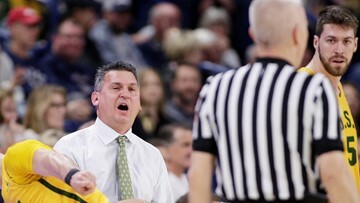 University of San Francisco men's basketball coach Kyle Smith is the next WSU head coach. 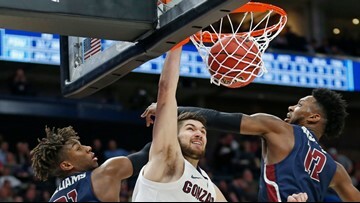 When leaders at Gonzaga were looking to sweeten the pot for their basketball team in exchange for staying in the West Coast Conference, they knew exactly where the money might come from. It was the worst thrashing of a defending champion in nearly 30 years. 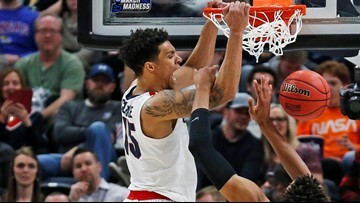 Next stop on the Brandon Clarke Dunk 'n Swat Festival: The Sweet 16. 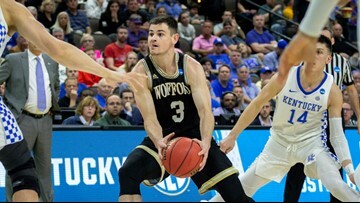 Kentucky is moving on to the Sweet 16 after beating Wofford 62-56. Florida State forward Phil Cofer was in the locker room when he got the phone call about his dad's death. 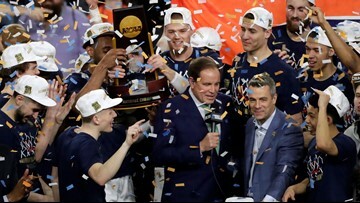 Who is the highest paid NCAA coach? 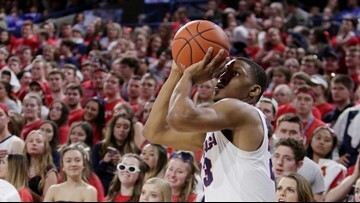 What are your odds of filling out the perfect bracket? Find out those answers and more.